With the expert advice of our staff, you can increase the value of your home and turn your yard into an attractive outdoor space. From small homes to large commercial developments, we are able to transform a customer’s ideas into a workable design or blueprint. For more than 16 years we have helped the Metro East customers select plants, shrubs and trees that meet the special requirements of Southwestern Illinois. We use this experience to help select the best suited plants, materials to complete your landscaping project. Let us tailor a custom plan to meet your personal lifestyle and budget. Belleville, Caseyville, Fairview Heights, Freeburg. Lebanon, Scott AFB, Mascoutah, Millstadt, New Athens, O’Fallon, Shiloh, Smithton, Summerfield, Swansea. Aviston, Breese, Glen Carbon, Maryville, New Baden, Pontoon Beach, Saint Jacob, Troy, Trenton. 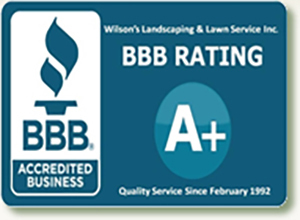 © 2018, Wilson's Landscaping & Lawn Service Inc. All Rights Reserved.